Remodeling a bathroom is an excellent way to improve the overall feel of a home. One of the most used rooms in the house, a bathroom sets the tone for the rest of the space. When you are undertaking a bathroom remodel, talk to the team at ProSource® of Indianapolis. 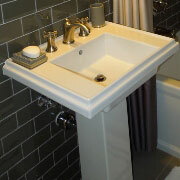 We specialize in helping local trade professionals complete bathroom remodels on budget and on time. At ProSource of Indianapolis, we provide only the highest quality brands from around the nation but we offer them all at wholesale pricing. Stop by today to find the perfect products for your upcoming project. From classic white basins to stunning slab sinks, we carry a wide variety of bathroom sink styles. Whether you want a piece that stands out in the room or a sink that quietly enhances the design, we can help you choose the perfect bathroom sink. A bathroom sink becomes functional when paired with the right faucet. 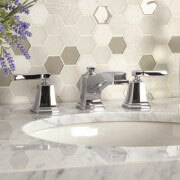 Make your bathroom sink faucet more than just a functional element when you shop our beautiful faucet styles. Bring your client along to choose from top brands at wholesale prices. Is your client looking to create a bathroom oasis? The right shower can make any bathroom a true in-home getaway. Shop our luxury options or stick to the basics at ProSource of Indianapolis. 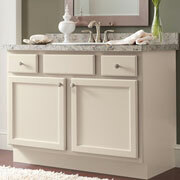 When it comes to creating more space in a small bathroom, vanities are an excellent choice. Unlike a standalone sink, they provide extra storage and counter space as well as offering a beautiful design element. Browse our top brand vanities today. Slipping into a warm bath can bring the ultimate comfort after a stressful day. 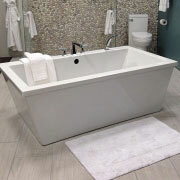 Offer your client the option of a beautiful new tub in their next bathroom remodel when you opt for our wholesale tub pricing. 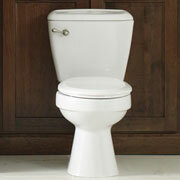 When you design your client’s new and improved bathroom, don’t forget to include a water-efficient toilet. Browse beautiful styles and a variety of colors at our showroom.